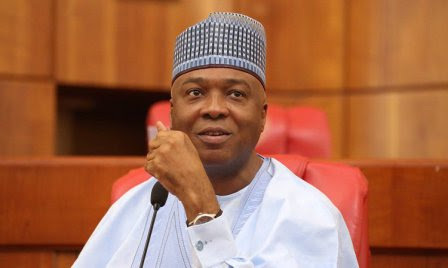 The plot by the national leadership of the All Progressives Congress (APC) to remove Senate President Abubakar Bukola Saraki may have suffered a set back due to suspicion and distrust among the party leadership and the lawmakers. Apart from lack of clear and strong succession plan, particularly on who replaces Saraki should the impeachment succeed, the inability of the APC national leadership to come up with plausible and realistic loyalty reward formula has elicited suspicion among the lawmakers. APC National Chairman, Adams Oshiomole, has been openly seeking the immediate removal of Saraki following his defection to the Peoples Democratic Party (PDP). But despite the series of meetings with the Senate APC caucus in the last few weeks, not much action has been achieved by the Senators in the upper chamber. A lawmaker also hinted that although Senators are desirous of complying with Oshiomhole’s directive, the caucus is yet to arrive at a unanimous decision on the big question of securing the mandatory Two Thirds Majority of Members of the Senate as required by the Constitution towards the impeachment of the Senate President. It was gathered that two camps have since emerged in the Senate APC caucus with each having opposing opinion on how to approach the matter, as well as on who succeeds Saraki. The emergence of the Senate chapter of the Parliamentary Support Group for the President, which has been most vocal and active in its position against the Senate President is said to have equally polarised the Senate APC caucus. Initially, one of the leaders of that group like former Nasarawa State Governor, Abdullahi Adamu, was said to have had the nod of the Buhari Support Group to replace Saraki should the impeachment bid succeeds. However, later developments showed that the real leadership of the Senate APC caucus might not be comfortable with Adamu as a likely replacement. Senators in this division preferred the current Senate Majority Leader, Ahmed Lawal as likely replacement to Saraki. At the moment, nobody has been officially announced as the candidate of the party for the number three position in case Saraki is impeached at the end of the day. Moreover, it was also learnt that the refusal of APC governors and some prominent leaders of the party to yield grounds to Oshiomhole on the big issue of nomination tickets for Senators has further weakened some APC Senators in the impeachment project. Already, it was learnt that the tickets for some APC Senators have been hijacked and given to loyalists of state governors and prominent APC leaders even ahead of the official nomination and exercise and primaries. “This is what has been fuelling the seeming lackadaisical attitude of some APC Senators in the impeachment move. Nobody is sure of what will become his fate even if commitment is demonstrated and the impeachment bid is realised. The case of the APC national leadership versus the Kaduna State governor regarding the suspension of Senator Shehu Sani is one of the several examples that showed that the national leadership may have its limitations even in its promise to reward party loyalty,” a source declared. Another source hinted that, “So far, the fear that the promise of automatic tickets may not be realistic has made many APC senators to adopt the option of tactical delay in the execution of the impeachment project till September ending, when primaries and nomination exercises in respect of the Senate would have been concluded,” he added. Another main obstacle to the removal of Saraki is the existence of strong bond and commitment between him and many APC senators who at the moment enjoy privileges from the Senate leadership in form of committee appointments and other adhoc arrangements. Just recently, a prominent APC Senator from one of the states in the North who heads a very “juicy” committee was said to have expressed his opposition to any meeting or plot to remove Saraki. He admonished the arrowheads of the plot to allow the Senate retain the status quo till the end of its tenure in June next year so that the present crop of senators would depart in peace. On the strategy for the impeachment, the Buhari Support Group is selling the idea of using Two Thirds Majority of Senators present (just like the Saraki Group did on June 9, 2015) and voting as opposed to Two Thirds Majority of entire members of Senate dictated by the Constitution. It believes that since the APC currently controls 57 senators, including the recently elected two from Bauchi and Katsina states, as well as the former Plateau State Governor, Senator Joshua Dariye, who is in prison, the narrative of two third of those present and voting would be easier way to push Saraki out, hence the recurring subterfuges. Deputy Speaker Rt. Hon. Lasun Yussuff Reveals Why Reps Rejected Restructuring.